The increasing demand for underground infrastructure should be supported by innovation in monitoring and damage assessment solutions to minimise damage to surface structures caused by ground settlements. While traditional monitoring requires in-situ (terrestrial) measurements and trigger levels based on preliminary evaluation of vulnerable structures, very recent advances in Interferometric Synthetic Aperture Radar (InSAR) techniques enable remote monitoring over extensive areas, providing rapid, semi-automatic, and dense measurements with millimeter accuracy. 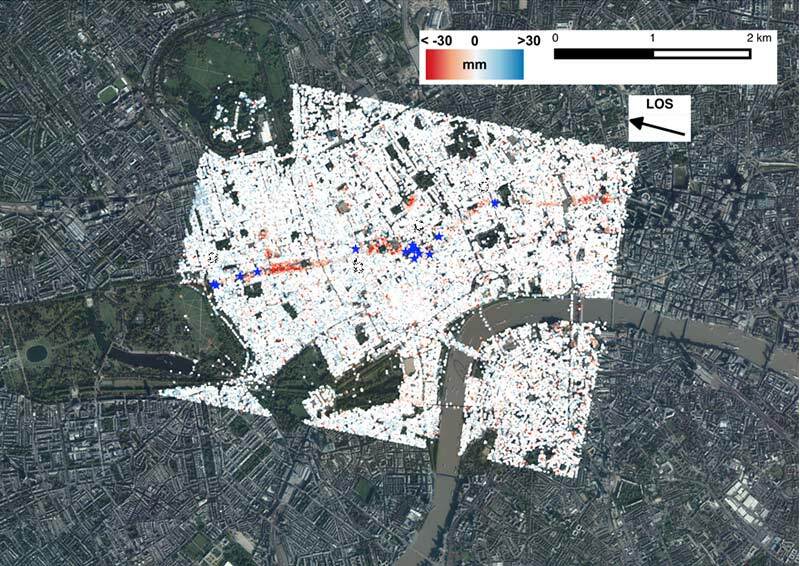 Results from a joint project between the University of Bath and NASA Jet Propulsion Laboratory, with the collaboration of the University of Cambridge, Purdue University and Italian Space Agency, demonstrate the potential of InSAR monitoring data for the assessment of deformations and structural damage of buildings adjacent to tunnel excavations. Giorgia is a Lecturer at the Architecture and Civil Engineering Department of the University of Bath. She received the B.S. and M.S. degree in civil engineering from the University of Brescia, Italy, in 2007 and the Ph.D. degree in structural mechanics from the Delft University of Technology, The Netherlands, in 2013. From 2013 to 2016, she was a Research Associate at the University of Cambridge, UK and from 2014 to 2016 she was a Junior Research Fellow at the Wolfson College, Cambridge. Her research interests include risk and damage assessment of structures, seismic vulnerability and retrofitting, soil-structure interaction, small scale experimental modelling, centrifuge testing and computational analysis.